Hello everyone! Boy, am I exhausted. I'm trying to adjust to my job's new rotating schedule, and this week I have the early shift. I completely miscalculated what time to go to bed and wake up last night and ended up getting only 5 and 1/2 hours of sleep instead of 7 and 1/2 hours. Whoops! 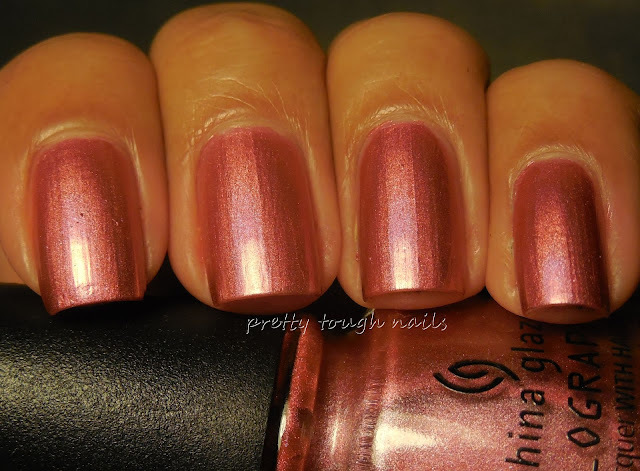 A little while ago I posted some swatches of the Hologlams from the China Glaze collection that was released a few months ago, and for this post I have two more to add. I happily swapped these from the lovely Kitty from Kitty Polish N Bags from MUA for a couple backups that had been sitting unloved in my stash for awhile. 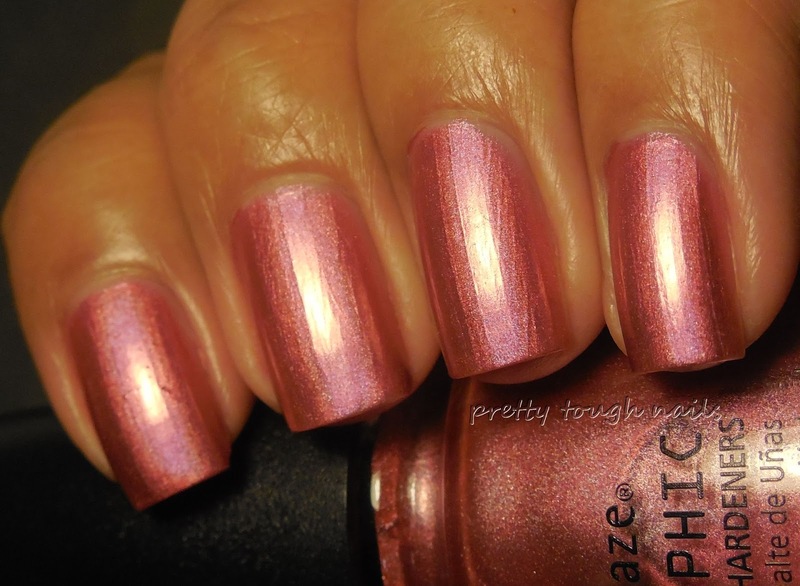 First is Not In This Galaxy, a coral with a holographic rainbow that is weak compared to the others in this collection. 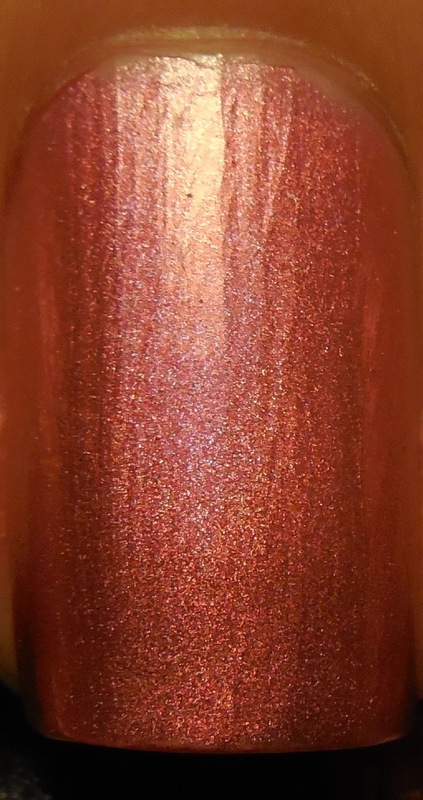 I used two coats with no basecoat or topcoat, and it applied evenly and smoothly. There was a weird tendency of my index finger to bubble - I applied it three times on that finger and although it applied smoothly, it bubbled a few seconds later. Strange! All of these pics are in direct light except for the first which is in the light tent. PS. If you're looking for a stronger holo in the same shade, check this post out of OMG BFF. 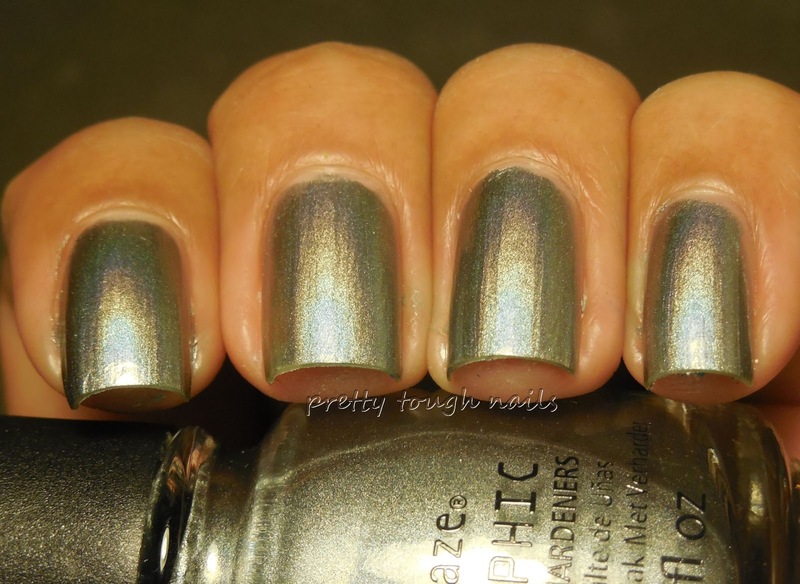 Next is Cosmic Dust, a medium grey holo that was surprisingly my favorite from the entire collection. 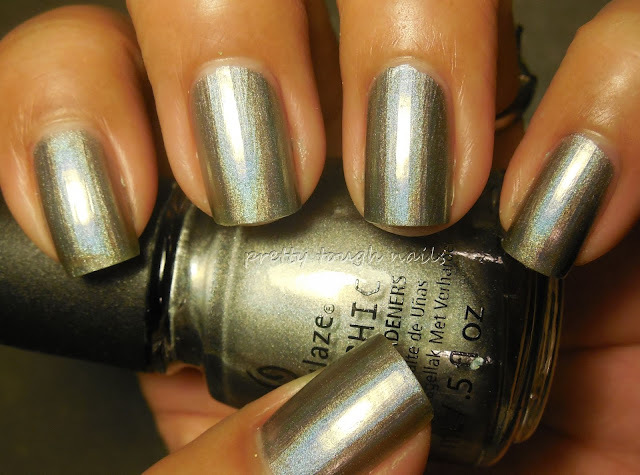 I really love this shade of grey! It's not quite charcoal, but it's not silver either, making it a completely unique shade to my holographic collection. I used two easy coats with no topcoat or basecoat. Don't you love that shade of grey? 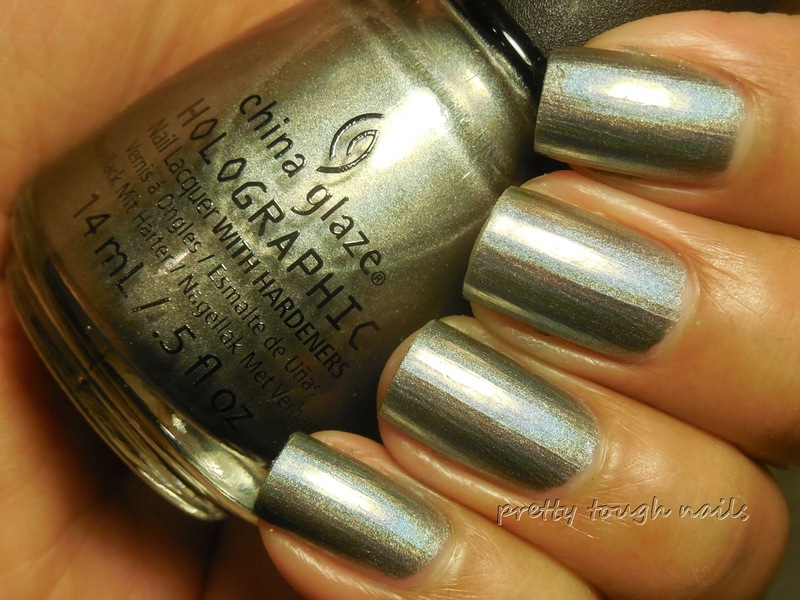 The holo isn't crazy strong like the Color Clubs, but this shade and delicate rainbows really is a class unto itself. 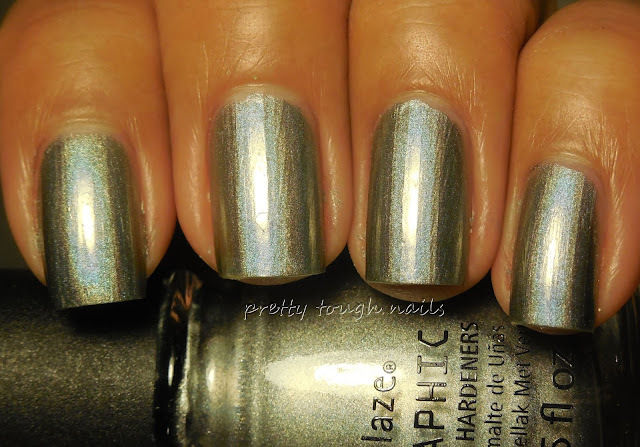 I had this one for a few days and it held up fairly well despite not having any topcoat or basecoat. If you're looking for a strong holo, look elsewhere, but if you like to have some unique darker shades, such as the ones in my earlier post, you definitely need to pick some of these up! What's your favorite shade from this collection?